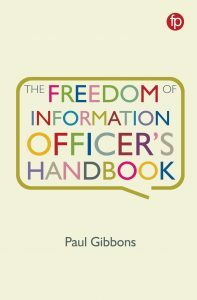 FOIMan discusses ways to cut the cost of Freedom of Information compliance. 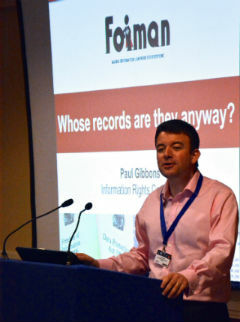 Last week I ran a workshop at PDP’s annual Freedom of Information Conference on managing the burden of FOI requests. This is something that I give a lot of thought to. As a supporter of, and occasional campaigner for, FOI, I don’t want to see the legislation weakened. As someone who used to have to manage FOI compliance though, I have some sympathy with practitioners and others in the public sector who complain about the burden that answering requests impose. 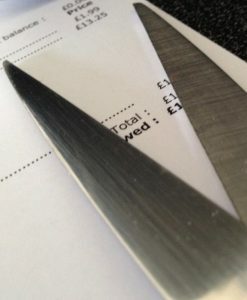 In a so-called “age of austerity”, councils, educational establishments, health trusts, and even government departments are having to juggle answering requests with their other obligations and duties, whilst simultaneously seeing their budgets cut. The recent FOI Commission report, and the government’s response, will have disappointed many in the public sector who perhaps hoped for a reduction in the cost limit (the Commission proposed raising it), more activities to be included in estimates of cost (the Commission came to no firm conclusion), or for fees that might dampen the volume of requests submitted (the Commission rejected this option). My argument is that the FOI Act already provides several facilities to manage the burden of FOI requests, many of which are not used to their full potential. In addition, the administration of FOI could be more efficient in many if not most public bodies. Put these together, and there are opportunities to cut the cost of FOI to the public sector without damaging the right to know. 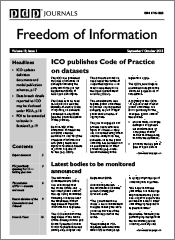 If you weren’t able to attend last week’s workshop, I’ve also written an article for PDP’s Freedom of Information Journal, which you can read here – Freedom of Information: Cutting the Cost. I quite agree that organisations should say that where there is no information held (if that is the case) but often departments (including Cabinet Office) refuse to release information from the transfer of Government records, not even descriptions. The recent ‘release’ of Nazi persecution claims files from 1964-1966 without names is on my view so odd, given the fact that the Foreign and Commonwealth Office have left information in the files as to who the people they have redacted are/were.